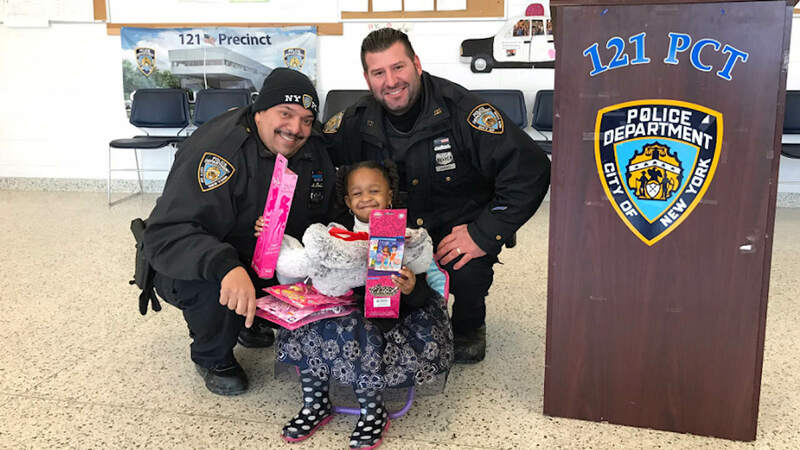 NEW YORK (WABC) -- A 3-year-old girl who survived a horrific stabbing spree that killed her mother and sisters in a Staten Island hotel visited with the officers who saved her life. 3-year-old Miracle Cutler, who survived being stabbed 11 times exactly one year ago Friday, visited police in the morning. Miracle, her three younger sisters and her mother were attacked by the mother's boyfriend, 25-year-old Michael Sykes, inside a Ramada Inn that the city was using to house homeless families. 26-year-old Rebecca Cutler and her two daughters, 1-year-old Ziana Cutler and 4-month-old Maliyah Sykes died in the attack.